AuSPICA is an independent and autonomous organisation whose main purpose is to improve the efficiency of the Australian potato industry through the provision of cost efficient and effective technical, administrative and field services. The AuSPICA Board of 9 directors consists of 4 seed potato grower members and 4 non-members, that have industry, business or horticultural experience, plus an independent chair provide policy direction for AuSPICA. 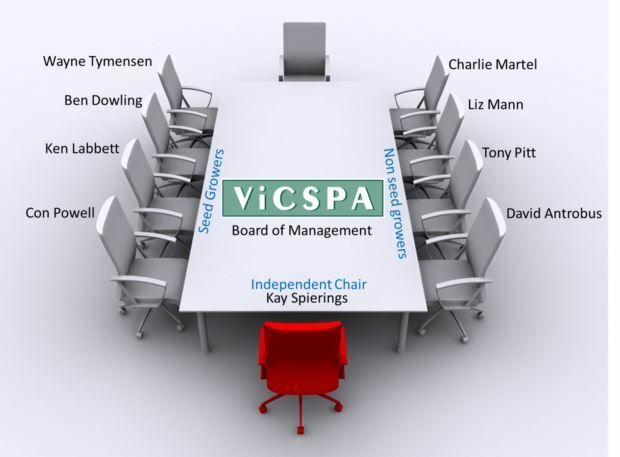 The Board appoints the General Manager who is responsible for implementing the policy of the Board and has a the responsibility of the day-to-day operations of AuSPICA. All directors are appointed to the Board by a industry selection panel made up of leaders of the potato industry selected from the entire supply chain. Details regarding the selection and appointment is provided in the policy document.